On Thursday, Nov. 23 the San Bernardino City Citizens Emergency Response Team (CERT) held its third annual Turkey Trot at the San Bernardino International Airport. 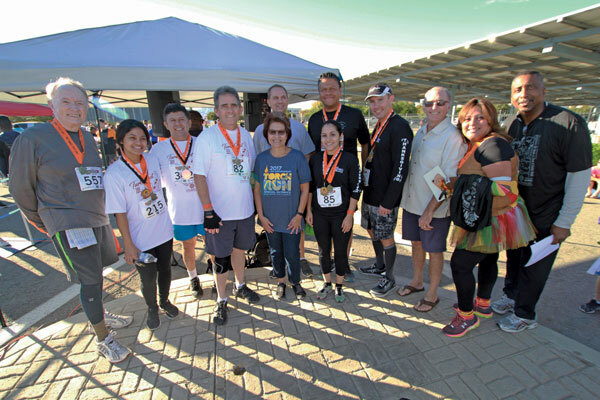 The family-friendly event had participants run a 5K Relay Team Challenge that was led by San Bernardino Mayor Carey Davis. There was also a “5K Family Fun Run” and a “Kiddy Walk”. Over 500 participants registered for the event. Several major sponsors helped support the Turkey Trot, and several members of the community came to volunteer. Robert Porter, creator of the “I Love San Bernardino Facebook Group and former radio host, was served as Master of Ceremonies. Damion and Felicia Alexander were among the main organizers. Alexander was the spearhead for the inaugural Turkey Trot; suggesting to the CERT Fundraising Committee that the event be used as a revenue source. Even though very few people knew what a Turkey Trot was, Alexander won over the committee with her vision, commitment, and organizing skills. All Turkey Trot activities were intended to engage the entire family. Senior citizens, adults, teenagers, children, toddlers and several babies in strollers were seen hitting the pavement very early Thanksgiving morning. Many of the participants also brought their pets on leashes. One gentleman who was recovering from a recent surgery walked with a cane. Another person was spotted on a walker, and one kid used his scooter. A few special needs persons participated in the trot, and at least one very expectant mom ran with her husband and toddler by her side for most of the race. Many of the participants were in costumes dressed as turkeys, and/or wearing very festive Thanksgiving colors. 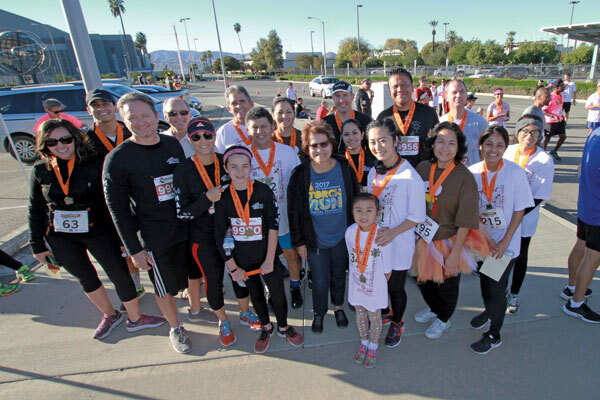 Several San Bernardino City dignitaries participated in the race including Mayor Carey Davis, Councilmember Jim Mulvihill, Councilmember Henry Nickel, the Mayor’s staff, several members from the San Bernardino Police Department, and Highland Mayor Penny Lilburn. Councilpersons Virginia Marquez and Fred Shorett were also there to lend their support and help cheer on the racers! At the finish line, Mayor Carey Davis took time to greet and congratulate as many people as he could with a friendly “fist-bump.” All participants received a T-shirt and medal for participating in the event. But, for those who ran with the top three fastest times received additional medals for First, Second, and Third place in various categories. There was even a contest for the best costumes in the event. When people were asked, “why in the world would you want to get up before the sun rises on Thanksgiving Day to run in a Turkey Trot”? some of the responses were: “Start the day with a family activity; “Good exercise before a big meal”, and “you don’t really have to run”. Participants in this year’s Turkey Trot will also qualify to receive the “Quad City Challenge Medal” when they complete the Loma Linda Holiday Classic, The Highland YMCA Run, and the Run Through Redlands. 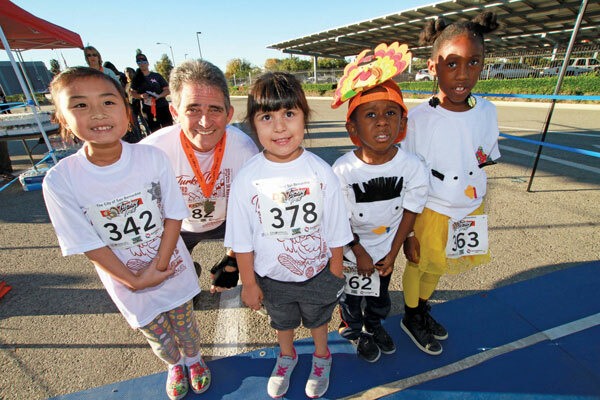 Although, only in its third year; the Turkey Trot gained many supporters who saw its potential, attracted participants who came from several surrounding cities to take part in the event, got the support from many of the city’s elected officials, and overall has positively impacted the City of San Bernardino. IECN photo Ricardo Tomboc: Mayor Carey Davis takes time to pose with kids before the start of the “Kiddy Walk”. From left-to-right: Holly, Mayor Davis, Emily, Milahni, and Jahsia. IECN photo Ricardo Tomboc: First, second, and third place winners of the Mayors Relay Race pose with several city dignitaries and race officials. In no particular order, Mayor Carey Davis, Councilpersons Fred Shorett, Virginia Marquez, Jim Mulvihill, and Henry Nickel; Damian Alexander, Evelyn Estrada, and San Bernardino Police Detective John Echevarria.